End of The Wolf Among US ¿Was Faith wearing Nerissa's costume to flee Barrio Fábula? -End of The Wolf Among US. ¿Was Faith wearing Nerissa's costume to flee Barrio Fábula? Bigby, I think he realized at the end of the episode when he said, "I see you wolf," joined Faith's lines with Nerissa and realized that it was Faith using a charm to look like Nerissa. Why? 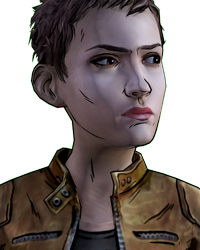 She betrayed Lily and Nerissa, and I think Jorgito killed both of them, so she used one of her friends to look like Faith and so head her to Bigby's offices and find out what was behind that murder. 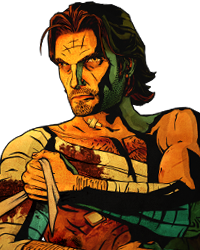 Whether it was Nerissa or Faith that spoke to Bigby in the last scene is very controversial. Also, was it Nerissa who died or Faith? I hope season two resolves this for us. You dont need to use "¿". Many other languages, like Spanish, use ¿ at the beginning of a question and ? and the end, to signify start and finish. Yeah english isnt spanish tho. Yeah not everyone speaks one language tho. Me neither. I speak 3 languages. There is no need to be ignorant about the grammatical rules of another language. Me too, good for us. However the OC didn't seem to know. It's not a big deal, so no need to get all gramatical over a symbol.